Close to Millfield School. 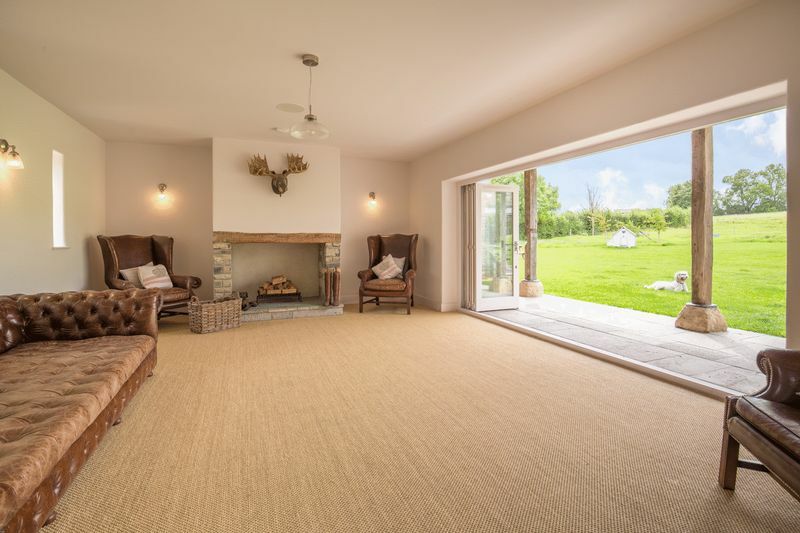 Well House in Somerset is one of the finest examples of what is possible to achieve in building a family home from scratch. 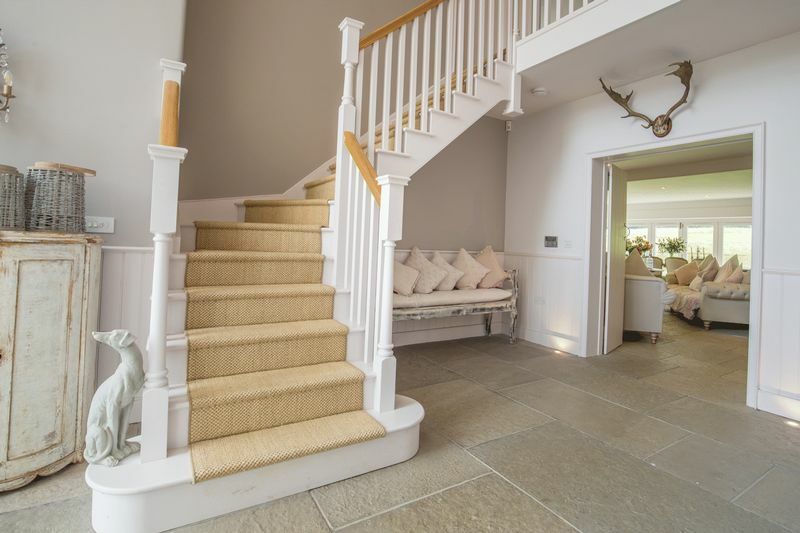 This stunning property combines the very best elements of contemporary living and economic efficiency with the best traditional building materials including Victorian floorboards, reclaimed stone and heritage flagstones. 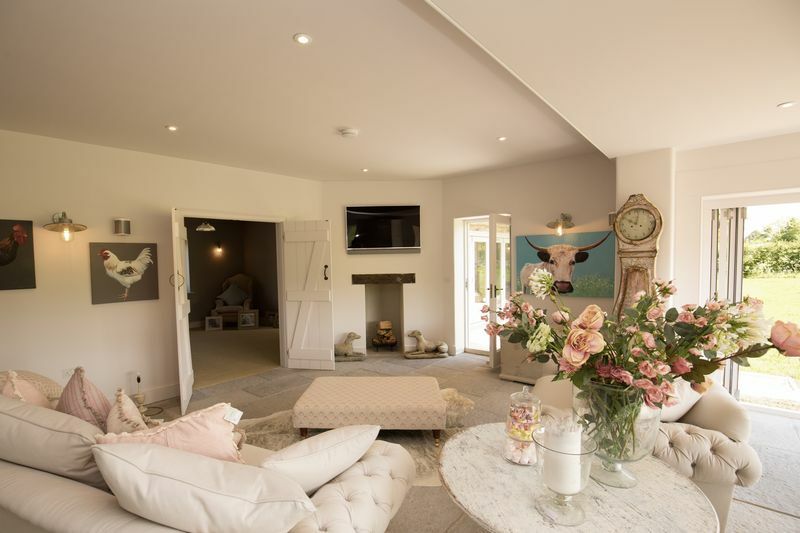 With superb interior design incorporating the old and the new, and a thoughtful layout of the abundant living space, the current owners have created a luxurious home, ideal for entertaining on a grand scale as well as being the perfect family house. 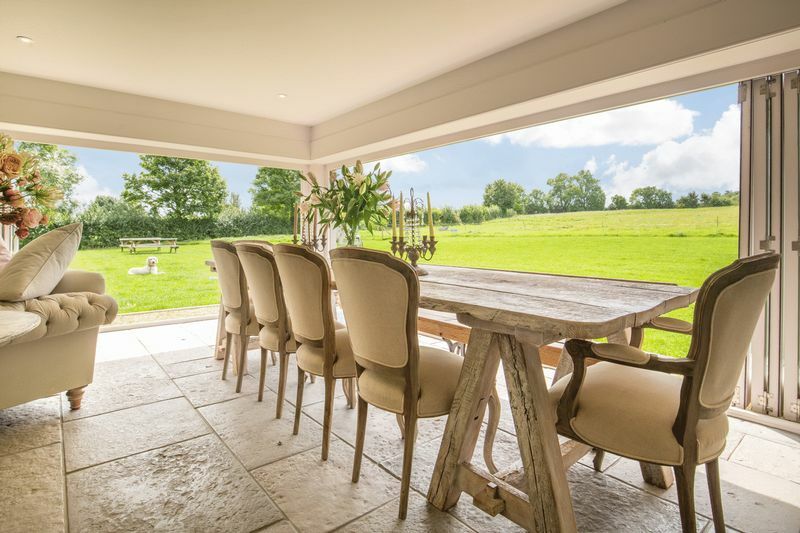 This is a rare opportunity to buy an exceptional contemporary home in the heart of Somerset. 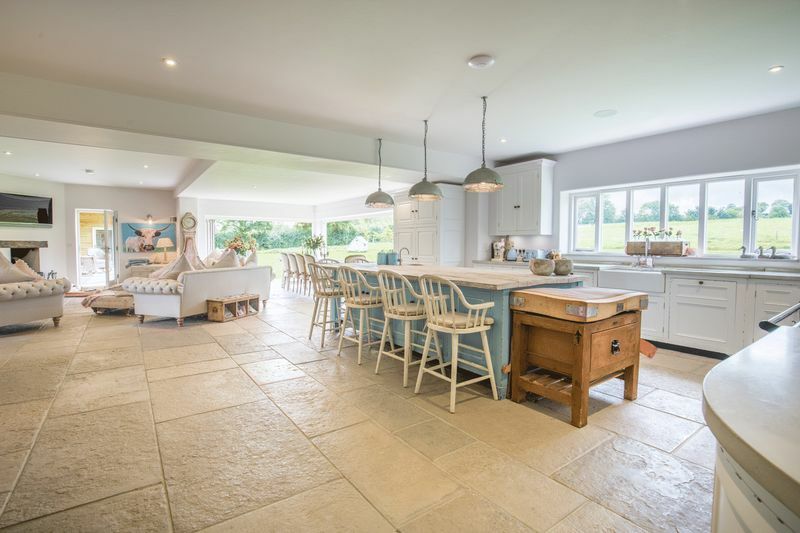 The house is approached through automatically operated gates that lead to an attractive gravelled driveway. 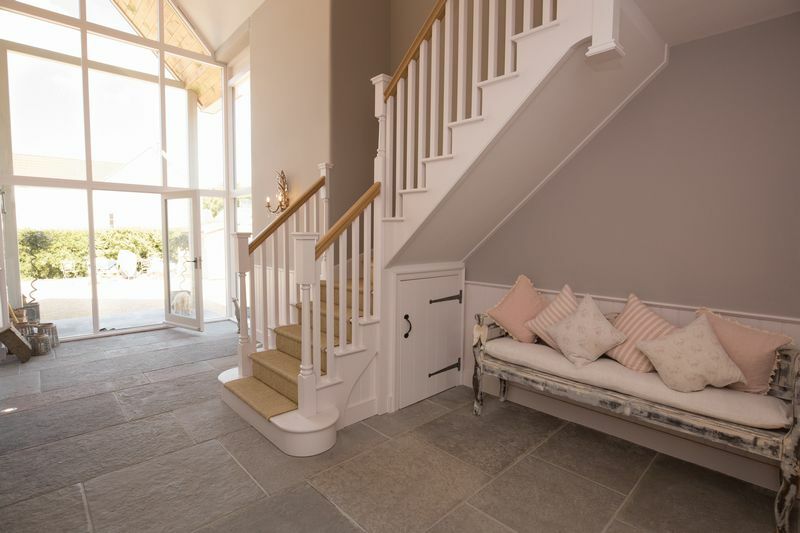 The entrance hall is beautifully constructed and bathed in natural light that makes the most of the flagstone floor and the staircase that runs up to a galleried landing. Off the hall is an elegant dining room with built in fireplace. Adjacent to this is a downstairs cloak room with a super-size shower and high spec fixtures and fittings. At the heart of the house is a truly magnificent 1200 sq. 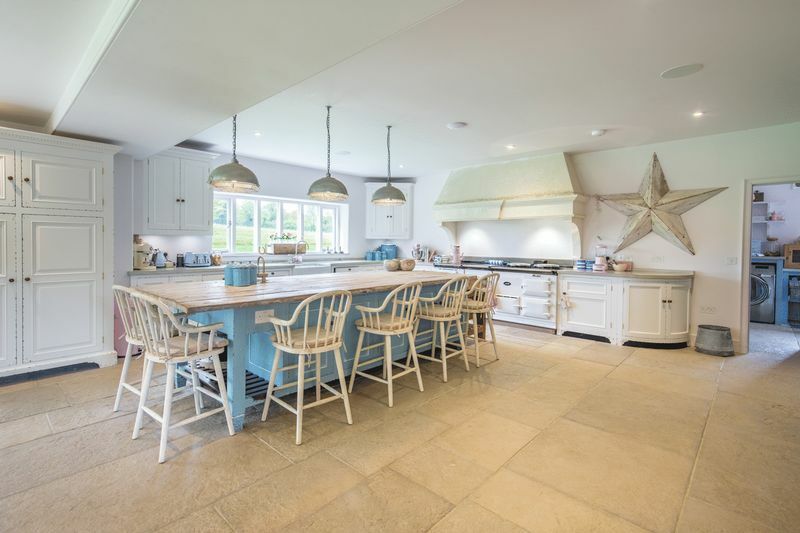 ft. kitchen, beautifully designed as both an informal entertaining area and a place for the whole family to get together. 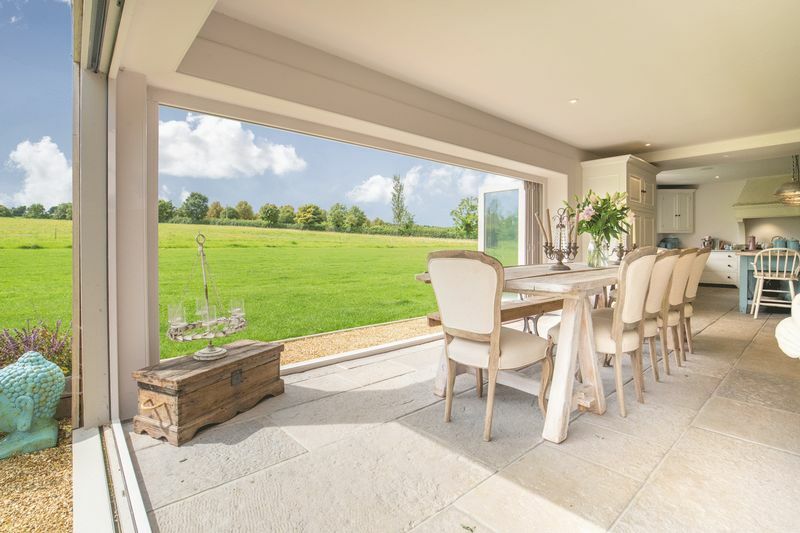 The room incorporates a fabulous dining area with glazed doors that open fully, allowing uninterrupted views of the garden - there is also a cosy seating area situated around a small fireplace. 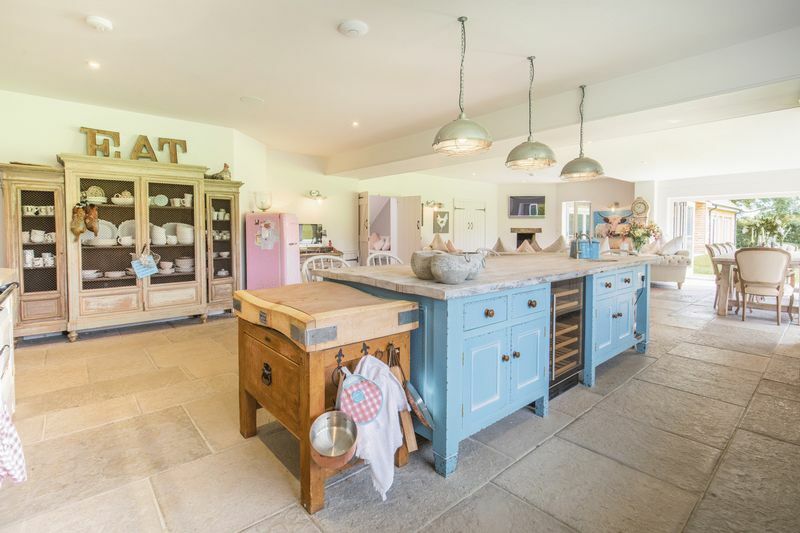 The kitchen area itself has an attractive island, an eco-friendly solar powered four ovened aga, a combination of polished concrete and reclaimed timber work surfaces and handmade units done in a Chalon style. 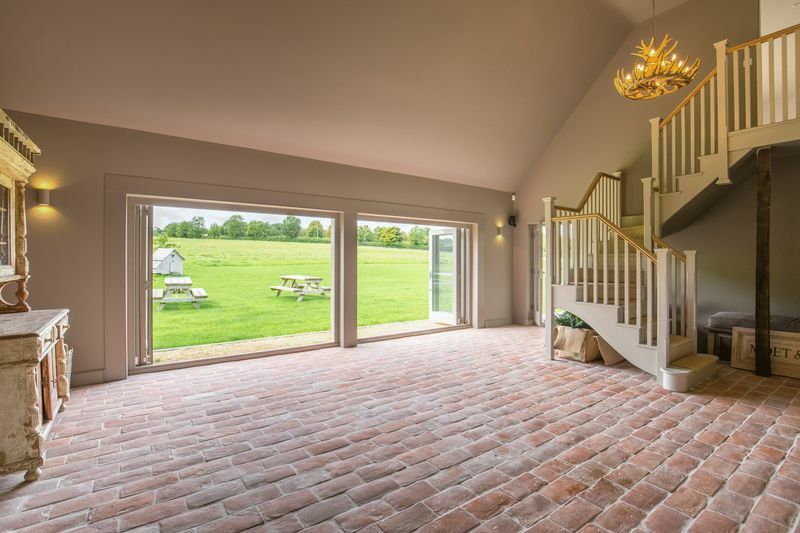 Underfloor heating lies beneath the flagged floors (and indeed throughout the ground floor) giving the room a warm, comfortable atmosphere. Off the kitchen is a good sized utility room with all the usual appliances and a stable door that leads out to the garden. 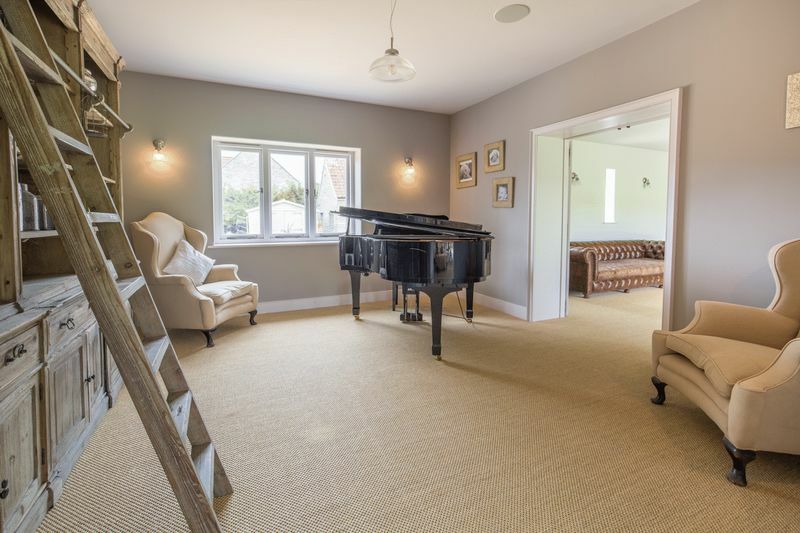 Off the kitchen is a charming music room which leads through to the main drawing room. 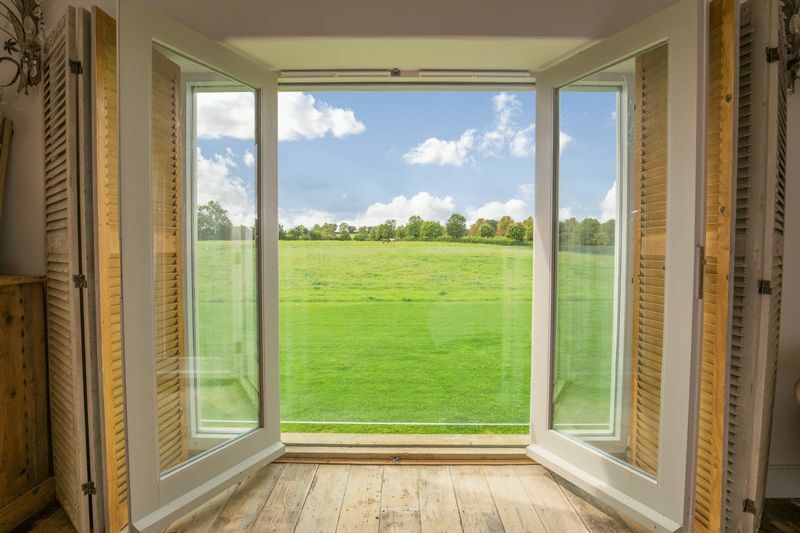 A recessed fireplace sits at one end and full height windows open fully onto a terrace outside with beautiful views of the lawns. Beyond the drawing room is an office, again with lovely views. 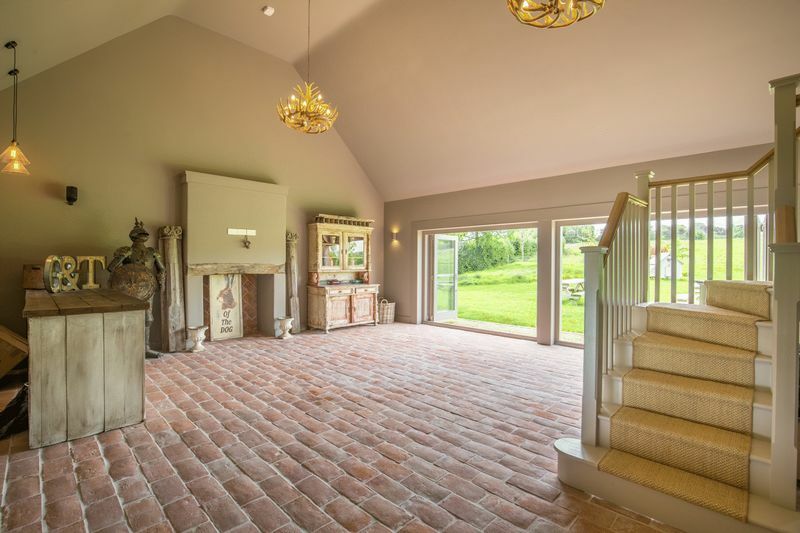 Ideally situated at the end of this wing of the house is an amazing “party room” complete with a shower room, bar, fireplace, a ceiling that reaches the apex of the roof and double doors that open to the gardens and terrace. Stairs lead to a large guest bedroom on the floor above. 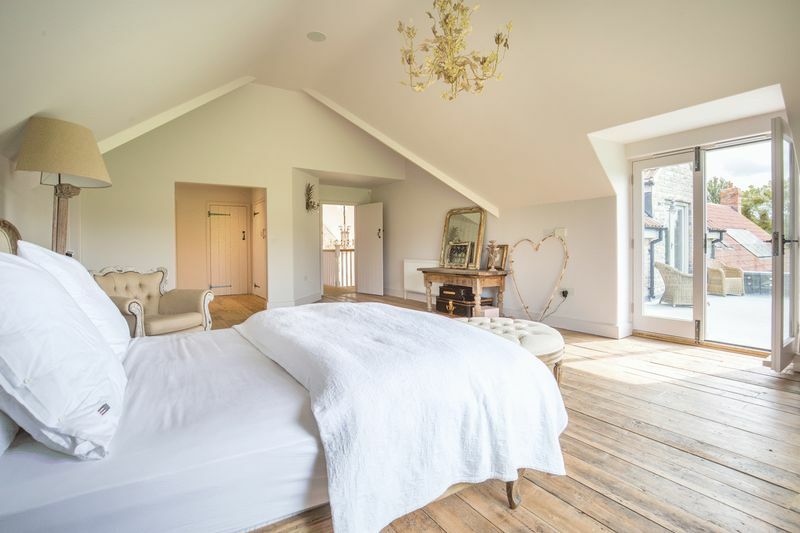 On the first floor is a palatial master bedroom suite incorporating an en-suite bathroom, an area of built in wardrobes and a dressing room. 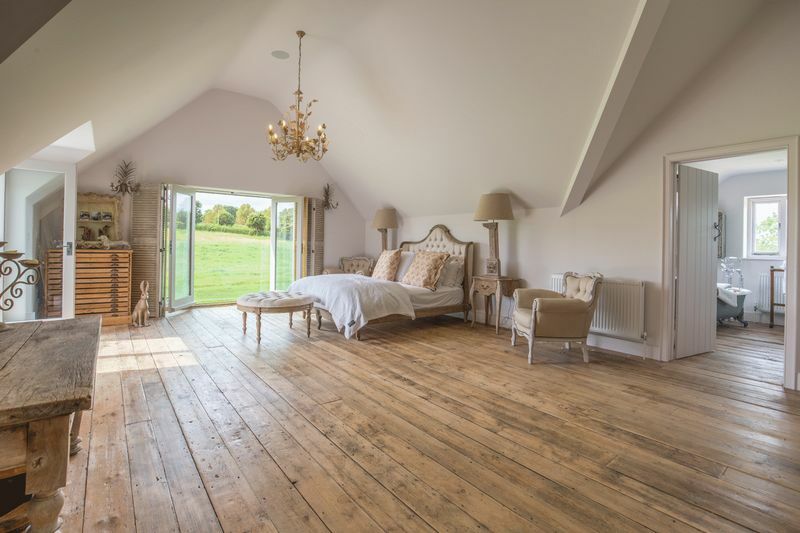 Reclaimed Victorian wood adorns the floors of both the bedroom and the bathroom, and double doors lead directly to a terrace with superb views of the surrounding countryside. 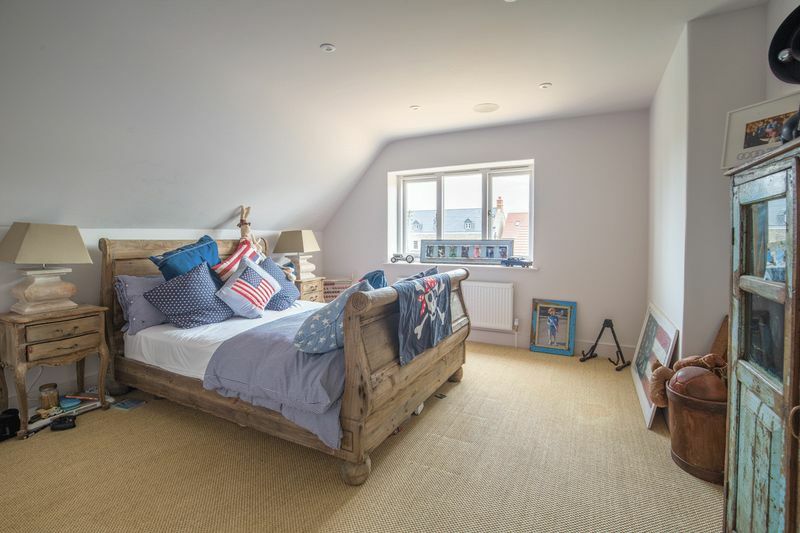 The three further bedrooms, all with en-suite bathrooms and one with a dressing room, are accessed directly from an attractive galleried landing. One of these also has access to the terrace upstairs. 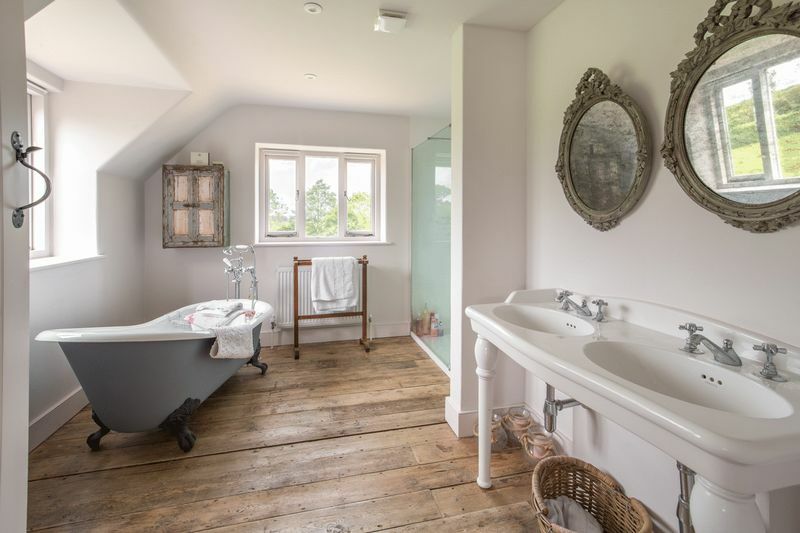 All the bedrooms have lovely views of the gardens and the bathrooms have been equipped to the highest standard to include double sized showers, claw foot baths and double size sinks. 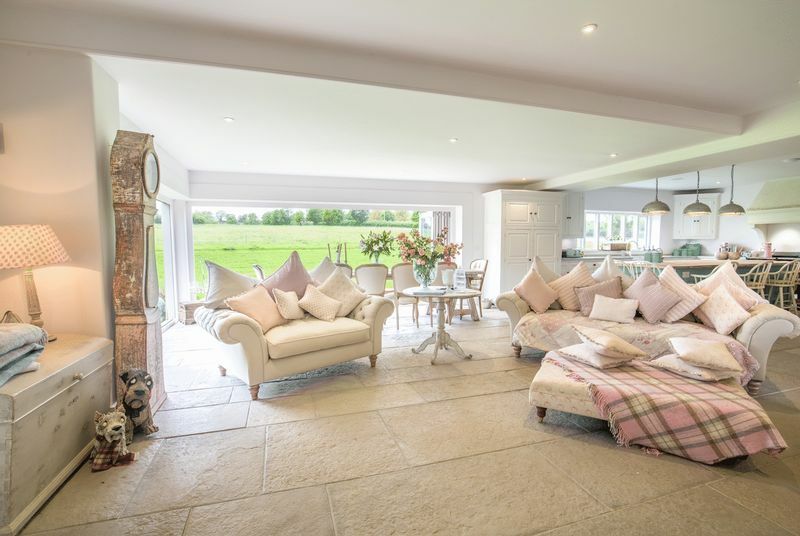 Well House sits in towards five acres of land and gardens with the opportunity to build a tennis court, a pool and equestrian facilities. There is an attractive timber garage adjoining the house with parking for two cars, and ample parking in the driveway for many more. 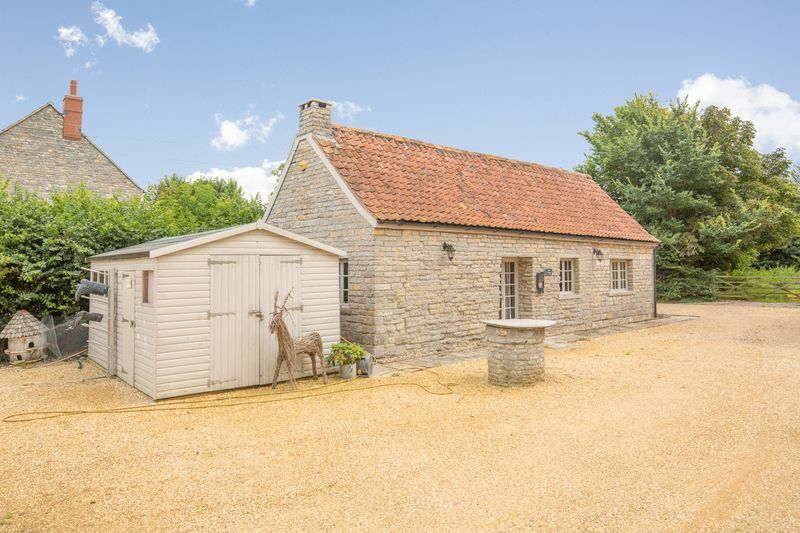 A delightful one-bedroom guest cottage sits in the grounds at the front of the house providing the opportunity for staff accommodation or the perfect granny annexe. There is an extra approx. 3-acre paddock adjoining the property that could be available by further negotiation. 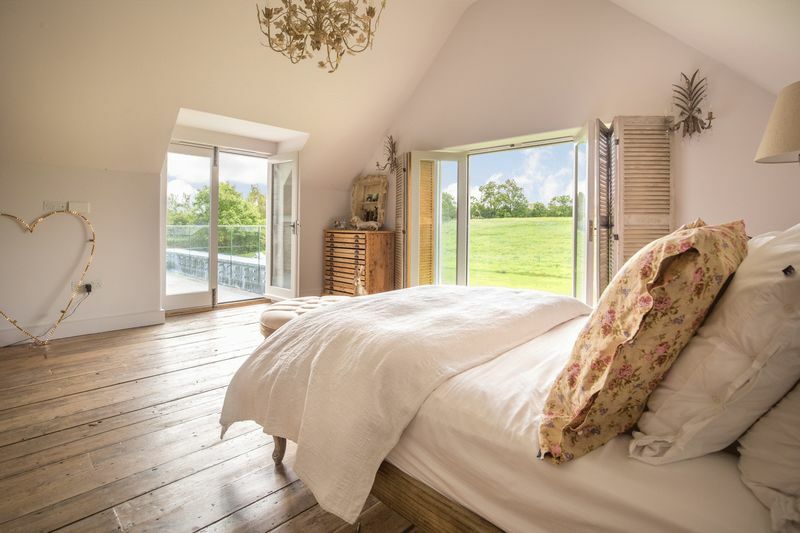 The Well House is situated on the edge of the village of Butleigh and is surrounded by rural countryside, farmland and wooded hills. This popular village has a thriving shop and post office, an excellent pub, primary school and nursery and a very active cricket club. 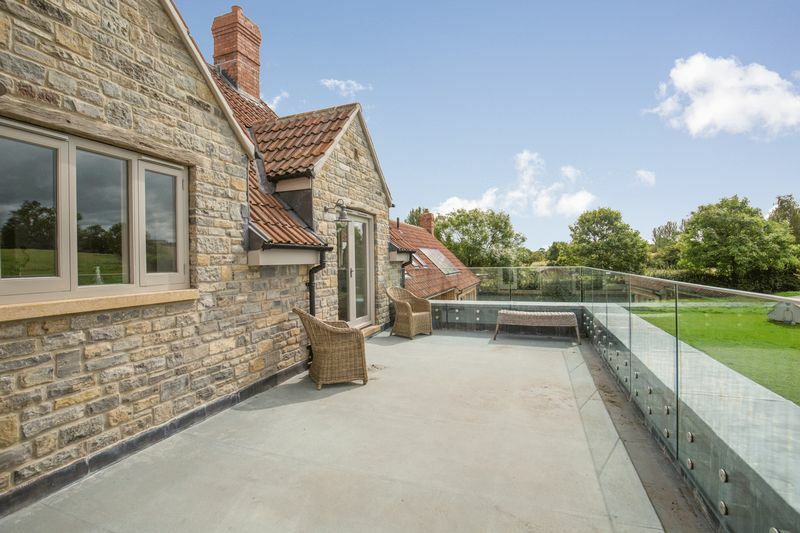 For shopping, “Clark’s village” in Street offers a wealth of retail opportunities with more shopping and local amenities to be found in nearby Glastonbury Somerton, Wells and Castle Cary. For further shopping and recreational activities, Bath, Bristol, Wells and Yeovil are all within about an hour’s drive.The A303 that runs south of Butleigh offers direct road links to London and the South west. 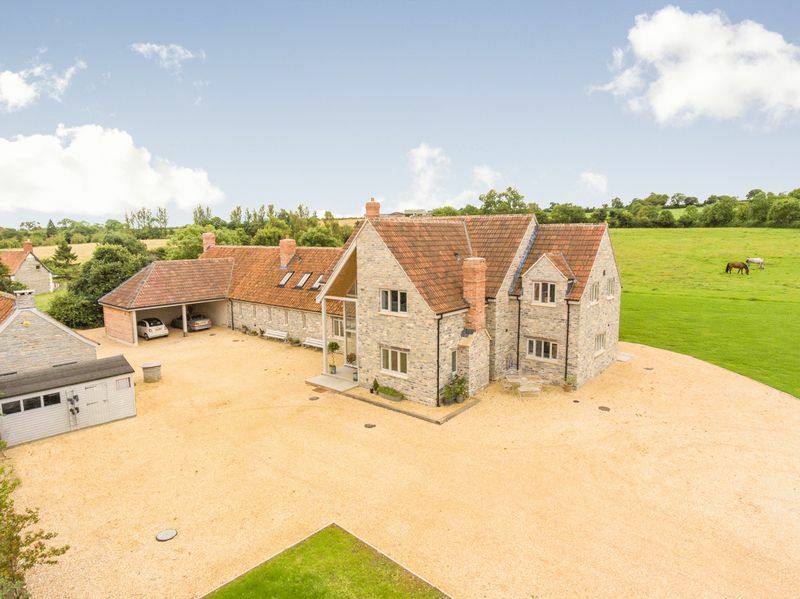 Local independent schools include Millfield (very close by) , Wells Cathedral School, All Hallows and Hazlegrove prep schools and the various Bruton schools. State schools include St. Dunstan’s, Wells Blue and nearby Strode College. When you're househunting, you try to imagine what it would be like living in the homes you view. 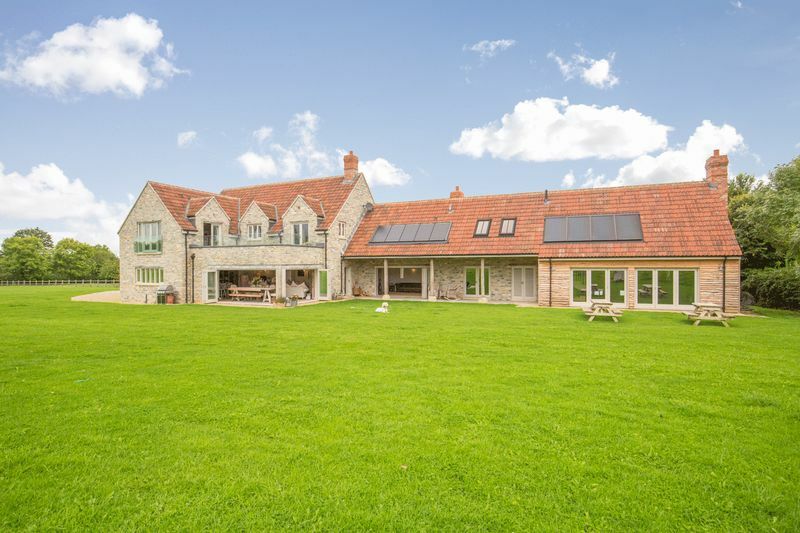 So, to save you guessing what it's like owning this fabulous five bed house near Glastonbury, we've asked the current owners to tell us what they most love about living there. 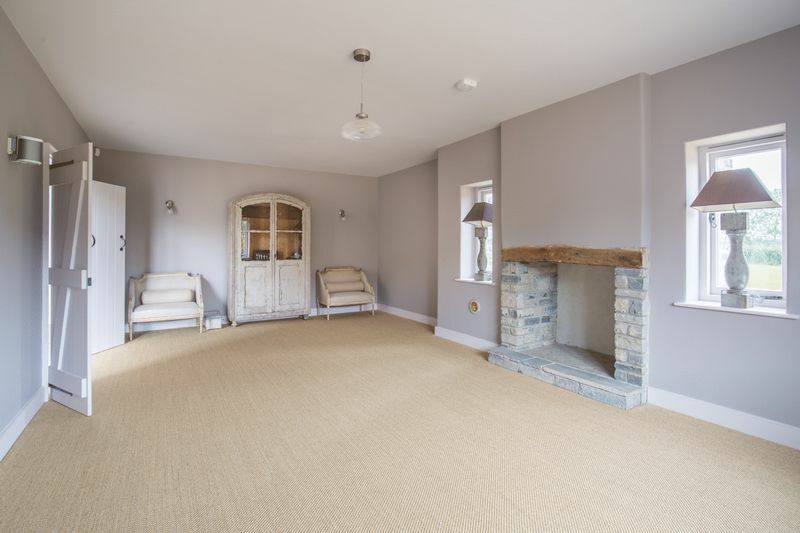 It's called Well House in Butleigh and has over 5,000 sq ft of living space, a 1200 sq foot kitchen, a double garage and parking space, an additional one bed cottage, party room, five acres of land and gardens and is in an excellent village location. 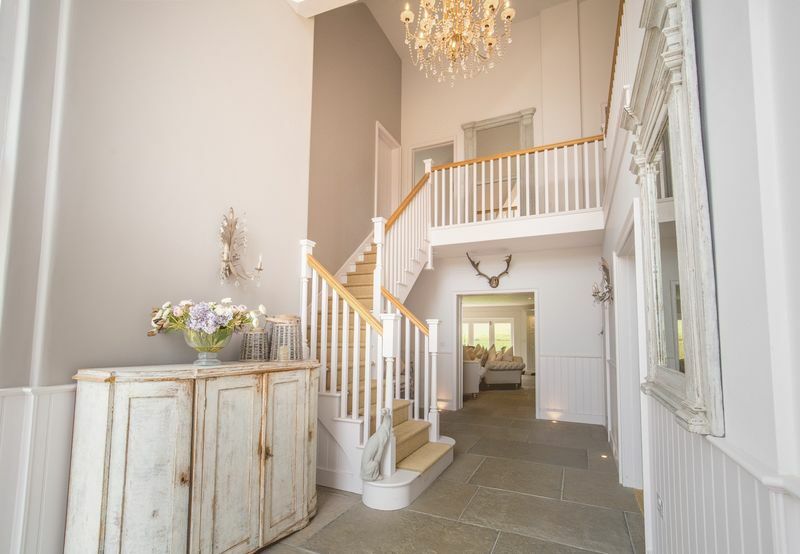 And as estate agents for Somerset, we have plenty more dream houses to feature in the coming weeks, so keep an eye on our Facebook page for the latest updates!